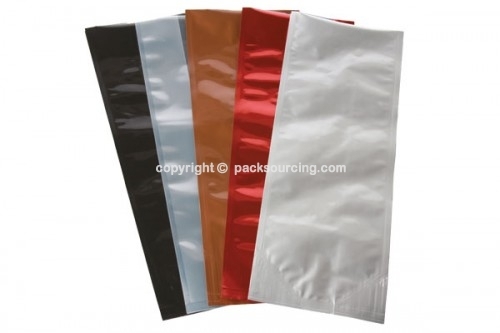 Propel your brand with our high quality M-Seal bags. Typically known as the traditional coffee bag, these bags can also be used for a variety of food products like cookies, tea, and snacks, as well as non-food applications like household products and small parts and pieces. Available in high-barrier foil laminations in many colors, sizes, and finishes, these specialized bags have a bottom seal and side gussets that expand to hold a product, and a quad-seal style with a bottom V-seal to provide added reinforcement and product protection. M-seal coffee bags are available in a variety of popular colors and sizes.